The first Night Under the Stars for this year will feature Kae Sun, a Canadian-Ghanian singer, and Vaughn Ahrens and Ashwyn Mberi, two local artists, on 02 February at the Goethe-Institut in Windhoek. The sow starts at 19:00 and the entry fee is N$20. The show will feature solo performances and collaborative tracks by the tree accomplished musicians. 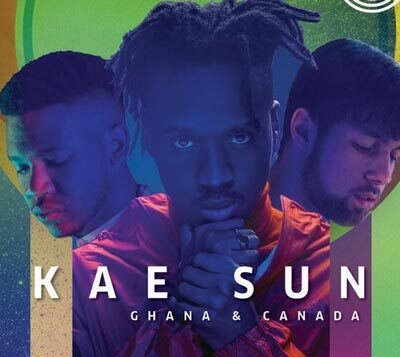 Kae Sun’s style is diverse and reflects his rich cultural background through poetic lyrics that are observational and encapsulate spiritualism and honesty. His acoustic tone and folk melodies make his music pure and simple and he mainly sings Afrobeat, contemporary R&B and Indie folk. Singer songwriter Vaughn Ahrens, is used to raising eyebrows as he leaves his audiences in awe at live shows with his sultry voice. He is a multi- instrumentalist and can play acoustic and electric guitars amongst many. Ashwyn Mberi on the other hand, is well known for his combination of vivid poetry and strong rhythm, whether he is hosting a TV show or is live on stage. His lyrics of love, entertainment and protest are known to stick in the mind. Night Under the Stars features Namibian musicians on the first Friday of every month and this edition is being held under the Future Africa Visions in Time initiative.